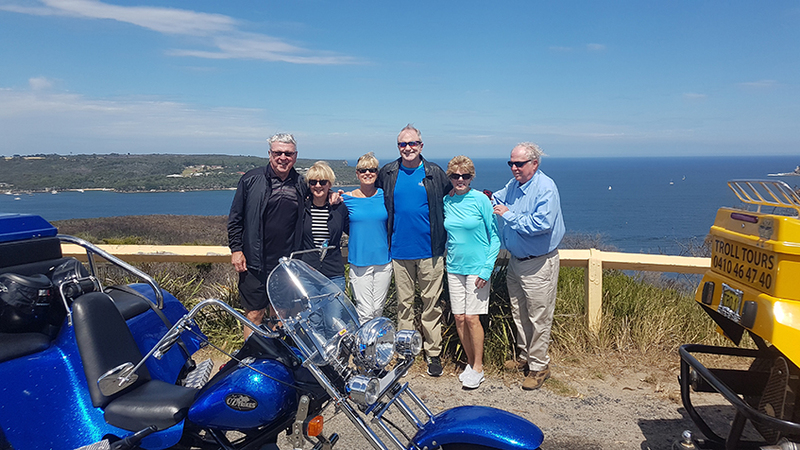 A friend bought our passengers a trike tour present Sydney. They don’t live in Sydney so they drove into town and parked downtown. Craig picked them up and took them on the adventure of a lifetime. 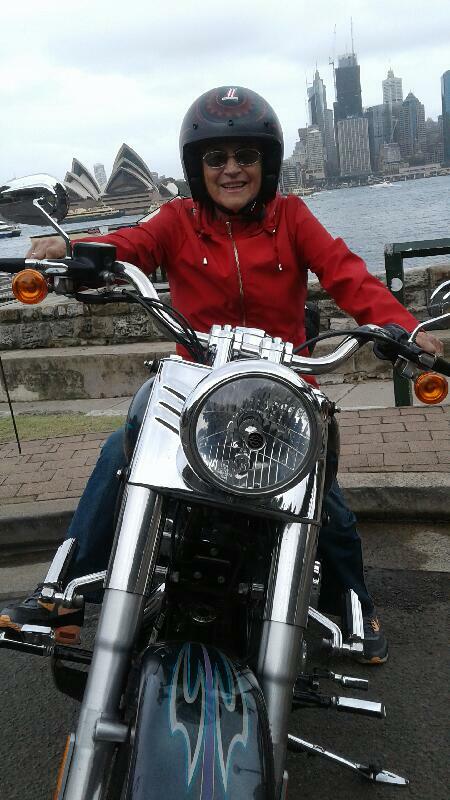 Firstly they rode over the Sydney Harbour Bridge where stopped for photos at Kirribilli, how could they not! The view across the harbour to the Sydney Opera House is beautiful. There is also a great view of the Harbour Bridge from underneath. They continued on and did the 3 Bridges ride. It takes us through the lower northern beaches, through suburbs such as Crows Nest and Lane Cove. This joins the Gladesville Bridge which has one of the best views towards Sydney Harbour. It is a different perspective than most visitors to Sydney see. They joined a main arterial road, Victoria Road. This winds through some of the inner west suburbs – Drummoyne and Rozelle. The next bridge they travelled over was the impressive ANZAC Bridge. The architectural design is incredible and it is more incredible on the back of a motorcycle. Craig then rode through the city before dropping the passengers back at their car. 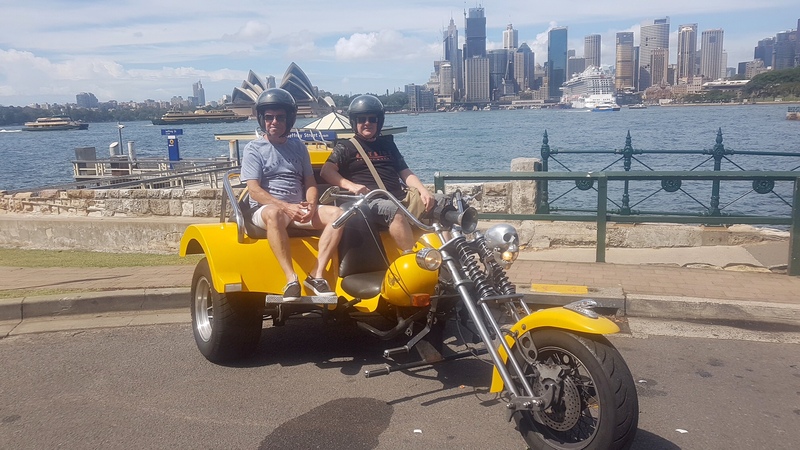 A trike tour present Sydney was the best ever present they could have received!